Massive Attack electronic music event poster. 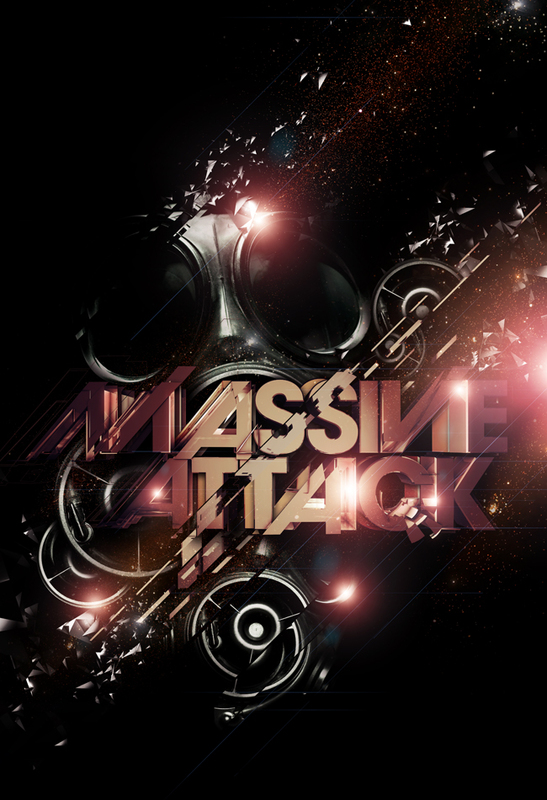 *No relation to the group "Massive Attack"
nicce bro.! good work i likeee.!! u havee Tutorial? did you use any 3D program? just curious.. I waaaaant to do something like that one day. Amazing! Love everything about it! Love the colours; the effects and everything you've done to the text is great. The splintering of the gas mask looks wonderful as well. An obvious ! Holy crap, that's badass. I love it. I envy both your skill at modeling and your attention span. your attention to detail is awesome! Awesome text. tutorial? I'll pay you! seriously!! aww I like the group massive attack. Aw man i love the detail with the debris effect, i'm still figuring out how to do that, it looks supa' slick. this is pretty sick, the colors and those highlights are awesome. The text looks very cool too. I need to know, did you make this only in photoshop or in other programs too ? And are you ever planning to make a tutorial on making things like these? you did one great poster again! Where did you use After Effects for? and when i saw that i couldn't stop laughing it was fun..
what am I saying? this poster is absolutely stunning  no mather if it´s finished or not great work! keep it up! What 3D program you usin buddy? Well done. whoa, dribbles, shoots and scores yet again! Amazing poster for a favorite group. i like the "destroy effect"